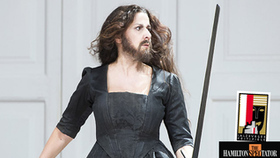 When Cecilia Bartoli sings, everything changes. Critics search for new metaphors to describe the sound of her voice, because they are unable to convey what they hear with their usual vocabulary. There must be "songbirds nesting within her throat", they say. And so, when it comes down to it, all they can do is express their love and admiration. Such is the Bartoli phenomenon. It cannot be described matter-of-factly or in facts and figures. Yet, in their own way, these too demonstrate just how many Cecilia Bartoli is able to move – and how much she can set in motion – with her voice. Cecilia Bartoli has now sold more than ten million audio and video recordings worldwide, making her in terms of numbers the most successful classical artist of the present day. Her recordings regularly achieve gold and platinum status, and her releases have occupied the highest positions of the international pop charts for more than 100 weeks. 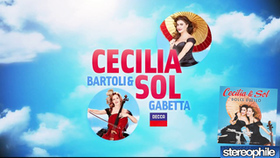 As these facts clearly indicate, Cecilia Bartoli is one of the most popular artists of our time. She has achieved this status without resorting to any of the popularising measures frequently encountered in the music business. 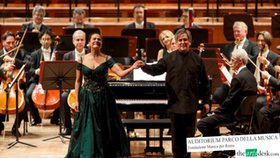 Cecilia Bartoli defines the term 'crossover' in a different way – her own way. For her, it denotes people who are crossing over a bridge and in so doing sharing their passion and curiosity with her. 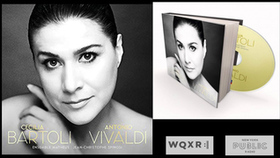 As someone who enjoys discovering new things, Cecilia Bartoli turns distinguished, elaborately themed projects into worldwide successes, such as 'The Vivaldi Album', 'Italian Arias' (Gluck), 'The Salieri Album', 'Opera proibita', 'Maria', 'Sacrificium', 'Mission' (Agostino Steffani) and 'St Petersburg'. Among the works included are true rarities, along with composer names that were hitherto largely forgotten. Now they can be found adorning the lists of top-selling music in the 21st century! In addition to her many other awards, she has won five Grammys, more than a dozen Echo Klassik Awards in Germany, two Classical Brit Awards, the Victoire de la Musique in France, the Prix Caecilia in Belgium, and the Edison Award in the Netherlands. Her performances have been witnessed in the most renowned concert halls of Europe, America, Asia and Australia. In her concerts too, Cecilia Bartoli presents programmes full of new discoveries, subtly balanced dramaturgically. She does not need to rely on popular works to sell out venues. Who, if not Cecilia Bartoli, could fill the Grosser Musikvereinssaal in Vienna or the Barbican Centre in London by performing music by the likes of Steffani, Manfredini or Caldara? In recent years, she has predominantly been accompanied by world-class ensembles that specialise in historically informed performance, such as the Akademie für Alte Musik Berlin, Les Arts Florissants, I Barocchisti, the Concentus Musicus Wien, the Freiburger Barockorchester, Il Giardino Armonico, the Kammerorchester Basel, the Ensemble Matheus, Les Musiciens du Louvre, the Orchestra of the Age of Enlightenment and the Orchestra La Scintilla from Zurich. In summer 2016, Cecilia Bartoli assumed the artistic direction of the newly founded 'Les Musiciens du Prince – Monaco' project. The orchestra, which is committed to period performance practice, is domiciled at the Opéra de Monte Carlo and is supported by Prince Albert II and Princess Caroline of Monaco. Naturally, Cecilia Bartoli has also sung with many leading symphony orchestras. Once again, the emphasis of these musical encounters is increasingly on projects under Cecilia Bartoli's own artistic direction. This area of her work has so far culminated in programmes developed and realised in conjunction with the Vienna Philharmonic Orchestra. In 2012, Cecilia Bartoli was appointed artistic director of the Salzburg Whitsun Festival. This venue is ideal in that it allows her to exercise her unique skill at merging art and concept and generating creativity from context. Cecilia Bartoli is the first woman to hold this senior international cultural position. Her contract in Salzburg has meanwhile been extended until 2021. She drew the inspiration for her first festival programme from Cleopatra, the legendary female figure of antiquity. The multifaceted motto of the Whitsun Festival in 2013 was 'Sacrifice – Opfer – Victim'. Following on from Gioacchino Rossini, on whom she placed the focus of the programme for 2014, Bartoli chose a programme based on the central theme of Greek mythology, with the motto: 'Thus I will call upon all gods' in 2015. The motto of the programme for the 2016 Whitsun Festival was 'Romeo and Juliet', with a new production of West Side Story, directed by Gustavo Dudamel and with Cecilia Bartoli in the role of Maria. The Salzburg Festival is yet another important stage in her role as an opera singer. 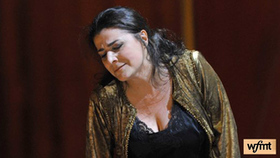 In 2013, Cecilia Bartoli celebrated her sensational stage debut in Salzburg as Norma – in what was a milestone of her career. She followed this in 2014 with Rossini's La Cenerentola, a role with which she has enjoyed prolonged worldwide success. In 2015 she sang the title role in Christoph Willibald Gluck's Iphigénie en Tauride for the first time. For Whitsun 2017, Cecilia Bartoli will be debuting in not one but two roles: the title role in a new production of Handel's Ariodante, and a concert performance of La donna del lago by Rossini. Her stage career had already included performances at the Metropolitan Opera in New York, the Royal Opera House, Covent Garden, La Scala in Milan, the Bavarian State Opera, the Zurich Opera House, and the Théâtre des Champs-Élysées in Paris. 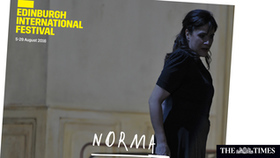 Zurich was also the first stop on a tour of the Salzburg production of Norma in 2015; after Monte Carlo in February 2016 and the opening of the Edinburgh Festival in 2016, Cecilia Bartoli also presented her new vision of the role to thrilled audiences at the Théâtre des Champs-Élysées in Paris and in Baden-Baden. In February 2017, Cecilia Bartoli set out on a European tour to present a semi-concert production of Rossini's La Cenerentola, to mark the 200th anniversary of its premiere. It was exactly 30 years ago, on 16 May 1987, that Cecilia Bartoli, then aged nineteen, gave her debut performance of Rossini's Barbiere di Siviglia in the opera house of her native city of Rome. Yet her real stage debut was actually ten years earlier. Cecilia was only nine when she sang the Shepherd Boy at a performance of Tosca in Rome. Her childhood was full of music, and both of her parents were opera singers. Her mother, Silvana Bazzoni, gave her singing lessons and remained her only teacher, even after she started studying, aged 17, at the Accademia Nazionale di Santa Cecilia in Rome. Cecilia Bartoli never had a career plan; looking back, she says she simply made music, and more and more music … which led to the RAI putting her on a television talent show and the opera house in Paris contracting her for a gala concert in memory of Maria Callas. This too was televised, and this time she was seen by Daniel Barenboim, who invited her to work with him, as did Riccardo Muti and Herbert von Karajan. Nikolaus Harnoncourt was another person who sought an artistic collaboration with Cecilia Bartoli back then. This became a meeting of two artists who understood how to make the most thrilling contemporary art from so-called 'early music'. He was followed by a number of other conductors, such as Giovanni Antonini, Marc Minkowski, Diego Fasolis and Gianluca Capuano, all of whom became important collaborators of Cecilia Bartoli. Mozart and Rossini have always been and still are at the core of her repertoire. However, her inclination for discovery has also led her to major figures whose existence had been undeservedly somewhat more shadowy, including such greats as Salieri and Gluck. She even rediscovered Vivaldi as a opera composer and also spectacularly rescued the Baroque composer Agostino Steffani from oblivion. Her 'Mission' project created as much furore as did her innovative and thematically based programmes on forbidden opera in seventeenth-century Rome ('Opera proibita'), the art of the castratos ('Sacrificium') and the courtly music of Catherine the Great ('St Petersburg'). 'Maria', her homage to Maria Malibran, one of the greatest singers of the early nineteenth century, opened up new perspectives for vocal artistry from the early Romantic era. 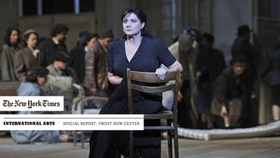 It was in this way, that Cecilia Bartoli also unlocked the door to Bellini's Norma. All of these projects combine meticulousness and imagination, attention to philological detail, and the joy of unconventional ideas. For 'Maria', Bartoli used a truck as a travelling Malibran museum, while a 100-page compendium about the art of the castratos was published to accompany 'Sacrificium'. For the 'Mission' project, Donna Leon contributed a new novel inspired by Cecilia Bartoli. CD covers and photo series always feature striking and highly creative visual motifs. Cecilia's oft-discussed 'bald head' (à la Steffani) has become a tongue-in-cheek symbol of her willingness to take risks. 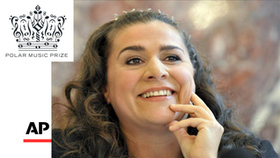 Cecilia Bartoli has been presented with the highest of state honours - in Italy, she is a 'Cavaliere', in France she is 'Chevalier de la Légion d'Honneur' and 'Officier des Arts et des Lettres'. Renowned institutions like the Royal Academy of Music and the Royal Swedish Academy of Music have made her an honorary member, while University College Dublin awarded her an honorary doctorate. In 2010, she was presented with the Léonie Sonning Music Prize, followed in 2012 by the Herbert-von-Karajan Prize, and in 2016 by the Polar Music Prize. Of all her awards, there is one of which she is particularly proud: a culinary recipe of hers was awarded a top score by none other than Gault Millau. Coming from Rome, and this always being in her heart and soul, this honour is something very special to her. Cecilia Bartoli: St Petersburg - The Recording Session! This fall, best-selling mezzo-soprano Cecilia Bartoli looks to the little-known operas of 18th-century Russia on her upcoming release, Cecilia Bartoli– St Petersburg. These Baroque musical treasures were written by Italian and German composers working for the Russian court: specifically, Francesco Araia (at the court 1735–59), Hermann Friedrich Raupach (1759–61), Vincenzo Manfredini (1761–63), and Domenico Cimarosa (1787–91). The works were commissioned under the rules of empresses Anna Ioannovna (1730–40), Elizaveta Petrovna (Elizabeth, 1741–62), and Catherine II (known as Catherine the Great, 1762–96). The three rulers continued and completed the wholesale redefinition of Russia into an enlightened European state that began under Peter the Great. 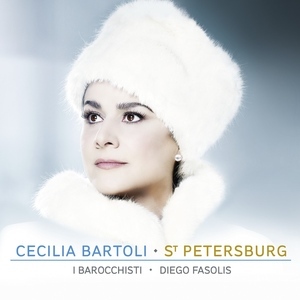 Cecilia Bartoli – St Petersburg, which releases on October 14, aims to shed new light on this incredible and momentous time for Russia, while simultaneously exploring the first instances of operatic music writing in the country. 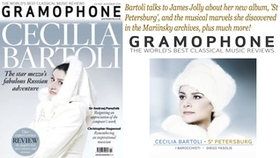 The best-selling mezzo Cecilia Bartoli graces the cover of Gramophone's special November issue. In her new album, St. Petersburg, Bartoli opens a window on a hidden period of musical life in the Russian city, during which three visionary tsaritsas allowed music to thrive. Gramophone's Editor-in-Chief James Jolly went to meet the opera star to discover how she managed to gain access to the Mariinsky archives to unearth the music for her new album and much more. Pick up Gramophone Magazine's November issue to read the full interview. 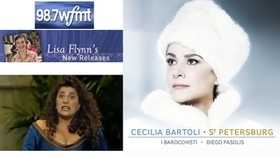 It's fun to imagine the reaction of record-company executives when Cecilia Bartoli, the Italian mezzo-soprano and best-selling recording artist, announced her latest passion. She has made a specialty of performing long-neglected music. Even her 1999 Vivaldi Album, which first shot her to the top of the classical charts, was a gamble on a composer popularly associated with violin music. Since then, she has championed the repertoire of the 19th-century diva Maria Malibran; the music written for castrati; and the work of Agostino Steffani, an 18th-century composer, cleric and spy. 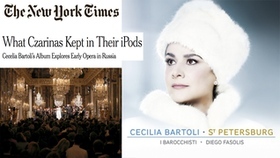 This month, Ms. Bartoli embarked on a European concert tour to promote St. Petersburg, a Decca CD containing the world premiere recordings of 10 arias and one choral scene written for a succession of empresses - Anna, Elizabeth and Catherine the Great - who ruled and transformed Russia in the 18th century. Most are sung in Italian; two in Russian. READ THE FULL New York Times REVIEW. When Cecilia Bartoli became artistic director of the Salzburg Whitsun Festival in 2012, she celebrated by organizing the first festival under her leadership around Cleopatra. "Since a woman was in charge for the first time, I chose to focus on this fascinating woman," she said in an interview here. The choice of program was typical of the opera superstar's hands-on approach to her new assignment. The main attraction of the festival program was Handel's "Giulio Cesare," with Ms. Bartoli starring as the irresistible queen of ancient Egypt. The theme also embraced other works, including Massenet's "Cleopatra." Now, after two years of Ms. Bartoli's leadership, the Salzburg Whitsun Festival - once a rather low-key event held annually under the auspices of the main Salzburg Festival - has become a must-see fixture on the opera calendar. Ms. Bartoli sang the title role in Bellini's "Norma" last year at her second Salzburg Whitsun Festival as artistic director. It won the International Opera Award for Best New Opera Production of 2013.